Rothco's infant camo T-Shirts make a great gift. 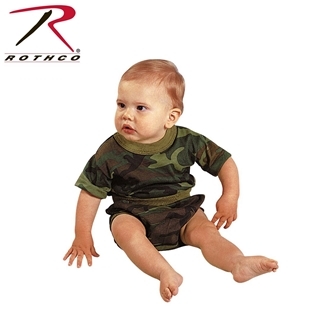 Available in sizes 3-6 Months, 9-12 Months, 12-18 Months, 2T, 3T, 4T, these T-shirts feature a reinforced collar and soft non-irritable cotton material. Comfort for your little one all year round.